New Delhi, Oct 11, 2015: Veteran Odissi exponent and Padma Shri Madhvi Mudgal and her group of dancers performed at the Old Fort Dance Festival today, bringing alive the oldest surviving dance form of India for Delhi’s connoisseurs of classical dance. Presented by the Sahitya Kala Parishad & Department of Art, Culture & Languages, Government of Delhi, the Old Fort Dance Festival is showcasing some of India’s most treasured classical dance forms. The festival, that will end tomorrow, has been much appreciated and loved by the audience who have turned out in good numbers every day. 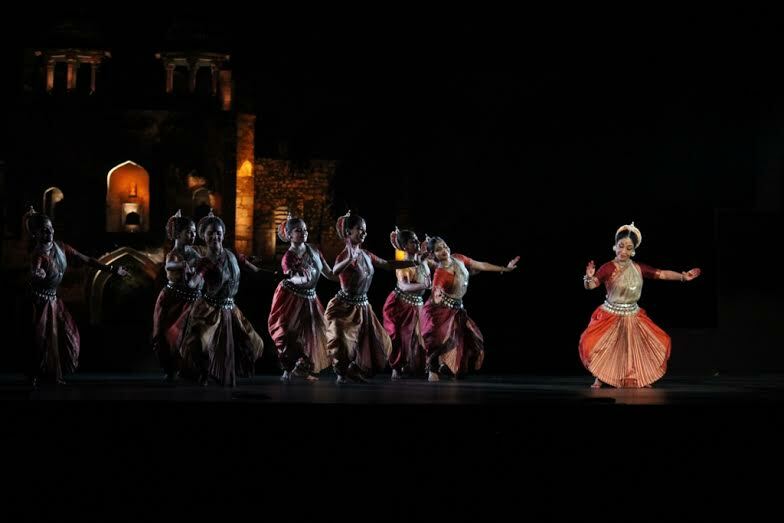 The majestic ruins of Delhi’s Purana Qila have provided a fine ambience to this unique festival celebrating India’s classical dance forms. The five-day festival of choreographies in classical dance forms has seen participation of veteran and legendary dance artists and their groups in multiple dance forms including Bharati Shivaji, Raja and Radha Reddy, among others. Legendary Kathak exponent Pandit Birju Maharaj will perform with his group on the last day of the festival. On the sidelines of the festival, critically acclaimed artist Manav Gupta is displaying his latest installation – a waterfront of Ganga made out of chilams and diyas which are elements of nature. He has been working since long to create public art sculptures that generate concern towards sustainability. “This innovative art practice with potter’s clay (chilams and diyas) represents the tool as a means of getting intoxicated with the rain of love and also explores sustainable development”, says Mr. Gupta.